A Masterclass performance from Paul Scholes for the second game running, and three different scorers ensured that Manchester United started the season with a banging three points. 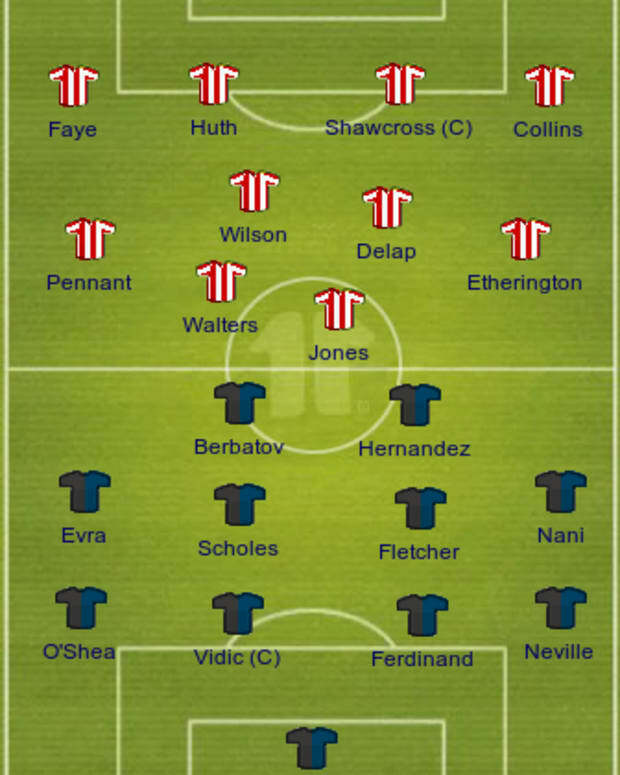 United played newly promoted Newcastle United a day later than the other Premier League teams, and it turned to be a bonus after the international break. 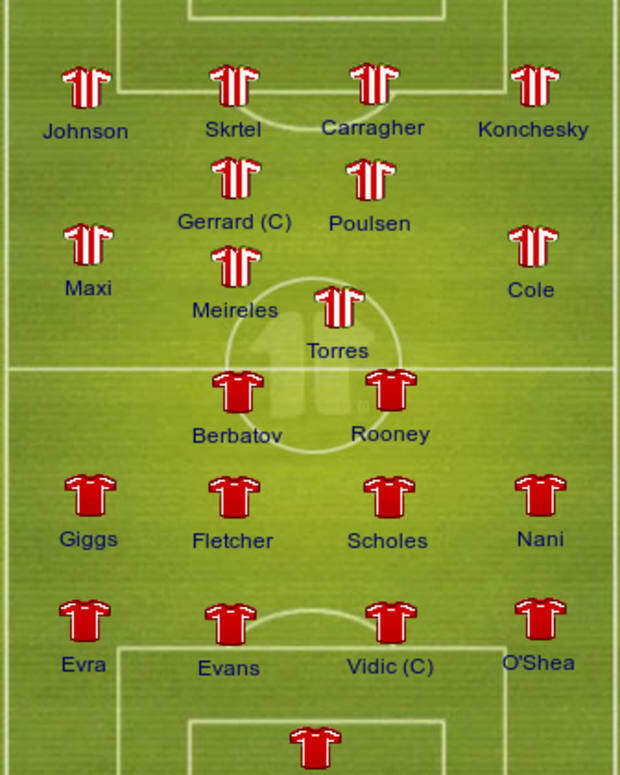 Sir Alex opted for pretty much his strongest lineup in his favoured 4-4-2, with O’Shea, Evans, Vidic and Evra providing cover in front of van der Sar in goal. 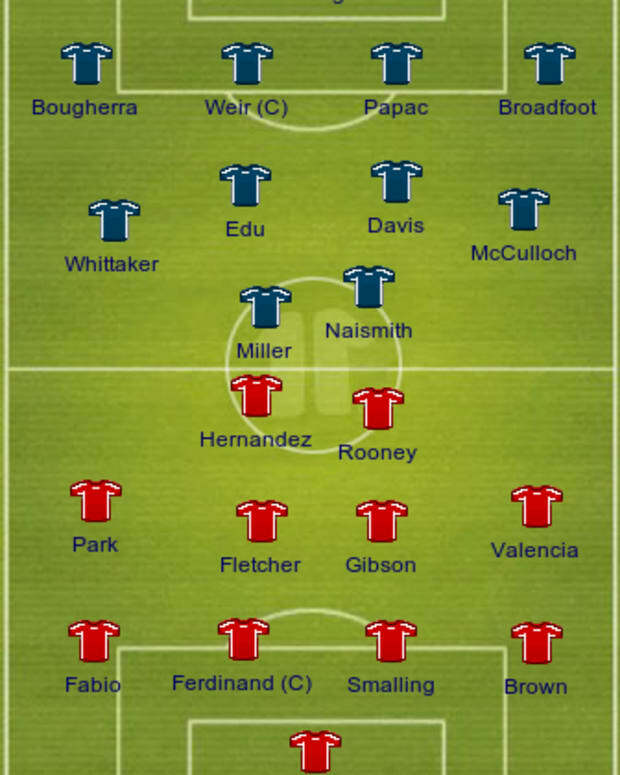 Wayne Rooney and Berbatov started up front, with support from Scholes, Fletcher, Nani and Valencia in midfield. The atmosphere at the ground was excellent, and it really seemed like a good Monday night’s football like before. Although the team in red began with early dominance of the ball, it was Newcastle who had the best chance of the game in the early stages. The much maligned Joey Barton floated in a cross in front of the Stretford End, and Newcastle striker Andy Carroll lost Vidic, but his free-header went wide off the target. It really was a golden opportunity, and the game might have taken a completely different course had Carroll managed to bury that one. After that however, it was all United. After 33 minutes, the home team got the reward for their constant pressure, after some good tracking back from Antonio Valencia. Scholes fed Berbatov at the edge of the box, who had know problems in sliding his finish past a flailing Steve Harper in goal. Just 8 minutes later, Darren Fletcher doubled the advantage. Nani and Evra combined well down the left, and Evra’s cross eventually fell at Fletcher’s feet, who made no mistake in converting on the spin from close range. At half time, the teams went back to the their respective dressing rooms, and in truth, United should have scored more than two. The second half started in much the same way as the first ended, with Fletcher and Scholes dictating play from midfield. United should have scored a third after some terrific inter-passing between Scholes and Rooney found Berbatov one-on-one with Steve Harper, but he only managed to prod his finish wide of the goal. Paul Scholes seems to be playing the best football of his career in the past few weeks, and even toady he was running the show, spraying about 50, 60 yard passes with total ease. Some intricate short passing from the Ginger Ninja once again found Berbatov in the box, who managed to nutmeg the ball past Williamson, but his left-footed attempt was smothered by Harper on this occasion. Andy Carroll tried his best to pull something back for the Magpies, and came close on one occasion with a close-range header, but for all his efforts, there was nothing that could breach the wall of defence formed by Evans and Vidic. On sixty minutes, there was much to cheer about for United fans — not a goal, but an Old Trafford debut for Javier Hernandez, who came on for Wayne Rooney. He immediately got into the act, running clear of the Newcastle defence, only having his advances toads goal cut by an offside flag. In the end, United got a deserved third, and who else but Scholes was involved once again. The little genius floated an inch-perfect pass to substitute Giggs just inside the box, and Giggs volleyed into the far corner of the net to wrap the night up. It was a good performance from the team on the whole, with special mentions to Dimitar Berbatov and the ever brilliant Paul Scholes. 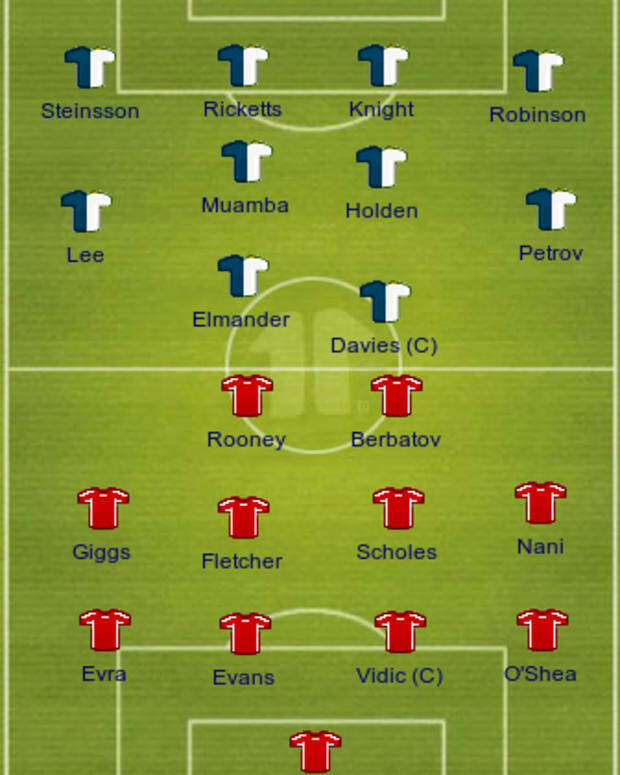 Vidic looked solid at the back, and Evra looked great going froward in his first game back from a tormented World Cup. It promises a lot for the season ahead, and it was particularly encouraging to get three goals from three different players. Wayne Rooney had a forgetful night on the pitch, and looks a bit off from the player we saw last season. With some match time under his belt however, and that all-important goal, he should be back to wreak havoc in the Premiership once again!